Well I’m at work for the entire week (yeah that’s right 7 days straight!) So we’ve been pretty slow with posts lately, but right now Juli is at the cottage finishing up before the long weekend. 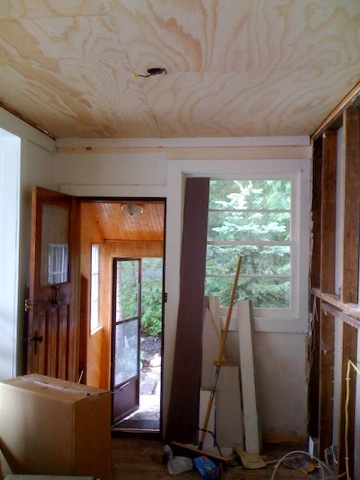 She sent me a couple pictures via her iphone camera of the progress so far. 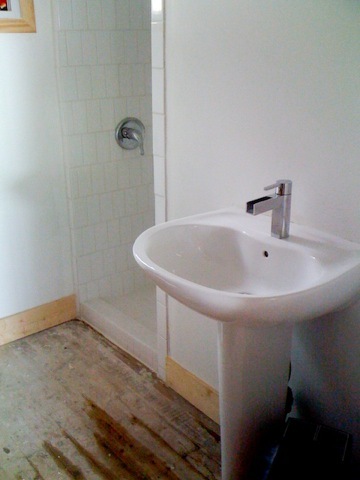 The bathroom floor still needs to be painted and sealed, but the pedestal sink and that cool modern faucet look great! 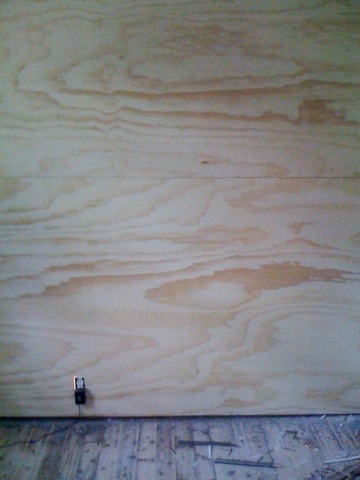 There are still some parts of the floor that need to be painted, but I’m liking the look of our plywood accent walls. Juli took her good camera up to the cottage, so hopefully we’ll have some nicer shots to share!